Please join us for the Philadelphia debut of trumpeter Nate Wooley’s new quartet Columbia Icefield, featuring Mary Halvorson, Susan Alcorn, and Ryan Sawyer. Nate Wooley grew up in Oregon near the mouth of the mighty Columbia River, which flows more than 1,200 miles from the Canadian Rockies through Washington and into the Pacific; the eclectic trumpeter saw the Columbia empty into the ocean nearly every day of his youth. Now, in the auspicious new quartet Columbia Icefield, he traces it back northeast to the massive geographic feature of the same name, the place where snowmelt and glacial collapse gives rise to the river. 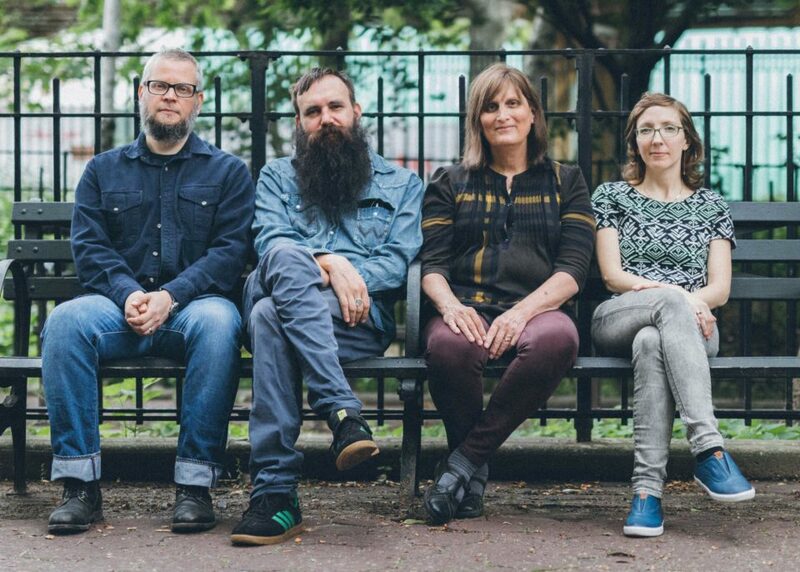 The quartet’s evocative songs—which move from confident rhythmic strut to near-pastoral drone, from drifting reverie to ghostly dissonance—convey a fitting sense of topography, of watching a landscape rise in plain sight. Wooley’s collaborators in Columbia Icefield are among the most adventurous musicians in modern jazz and creative music. Drummer and vocalist Ryan Sawyer is one of his generation’s greats, his rhythmic and textual restlessness creating expansive canvases for sound. Steel guitarist Susan Alcorn knows about those: Expressive and ponderous, her work exists in a kind of ever-present emotional flux, asking that you fill in its open spaces with impressions and experiences of your own. Guitarist Mary Halvorson—like Wooley, one of the defining voices of what “jazz” can be in the modern era—adds her singular tone and idiosyncratic sense of harmony and dissonance to these beautiful and balanced songs, which illuminate a disappearing landscape with curiosity and imagination.